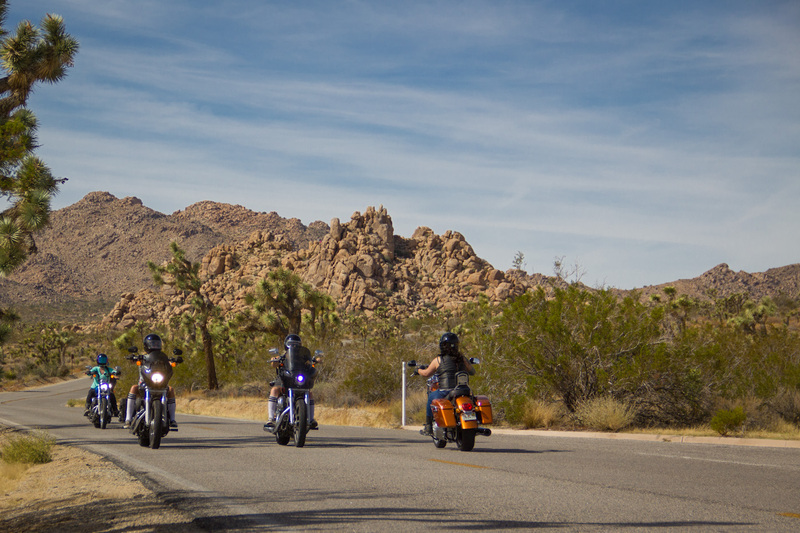 As over a thousand women on motorcycles swarmed to the Joshua Tree desert from across the globe last weekend, men, women, and children alike were in awe of the grandeur. It’s rare enough to see one lady scooting by on two wheels, but a group of ten or more rolling by, and then another and another… well it’s practically nonexistent. 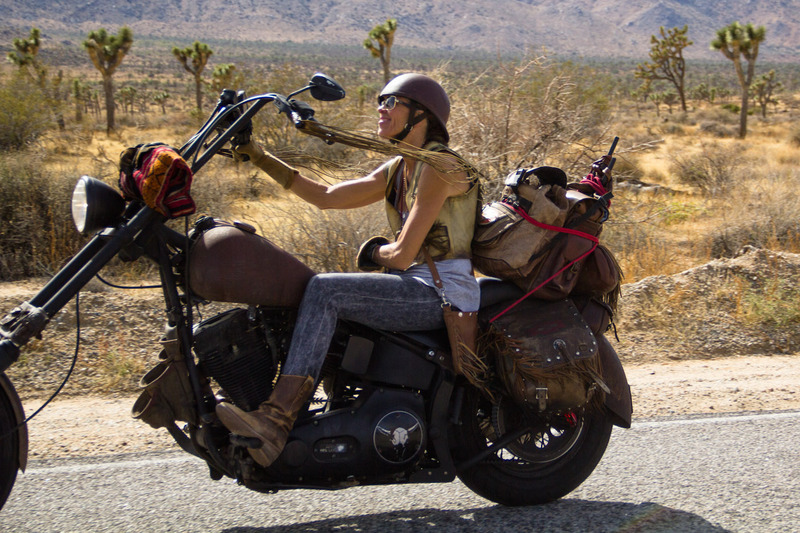 Except for October in Southern California, when the annual Babes Ride Out women’s motorcycling campout takes place. This year they sold out the event- capping at 1200 tickets for the wonderful women’s weekend. So, what instigated over a thousand women converging to the SoCal desert? Motorcycles, it’s that simple. Three years ago, Anya Violet and Ashmore Bodiford dreamt up an event they called Babes in Borrego. 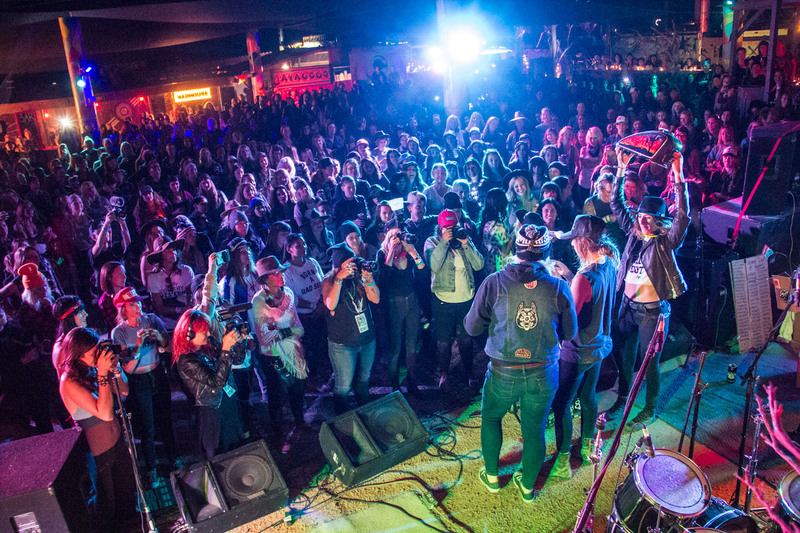 Some 70 ladies were in attendance, jumping to about 400 last year at Babes in Joshua Tree. 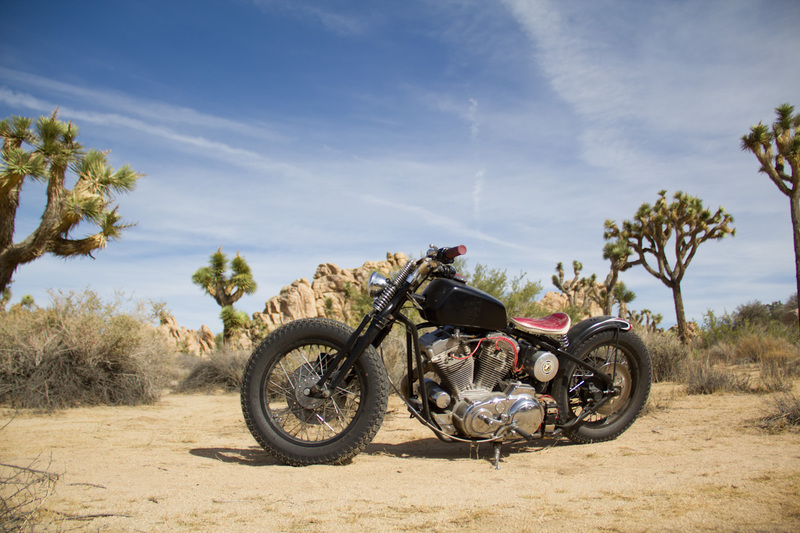 Pairing with brands like Stance Muse socks, Chopcult, and Biltwell, the event provides fun freebies and gift bags to the first people who show up. 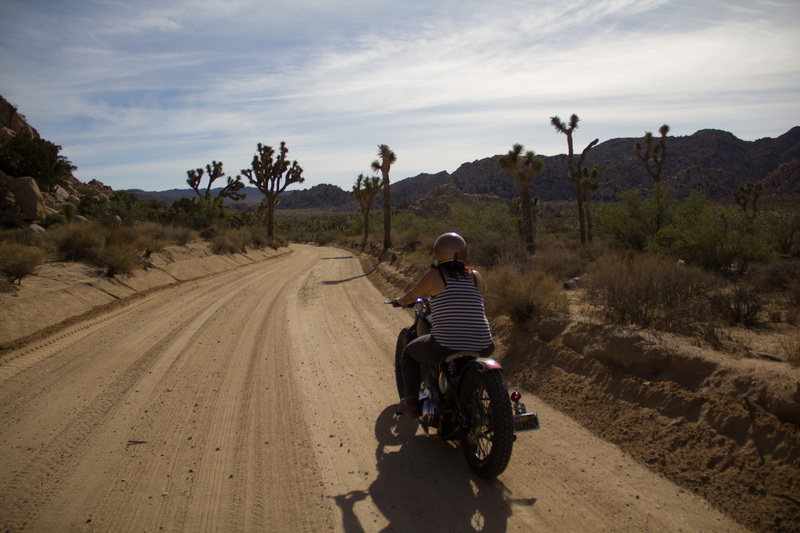 According to a survey by the Motorcycle Industry Council in 2009, the ratio of women motorcyclists to men has grown slowly to about 2.7 million of 27 million riders- about 1 in 10. 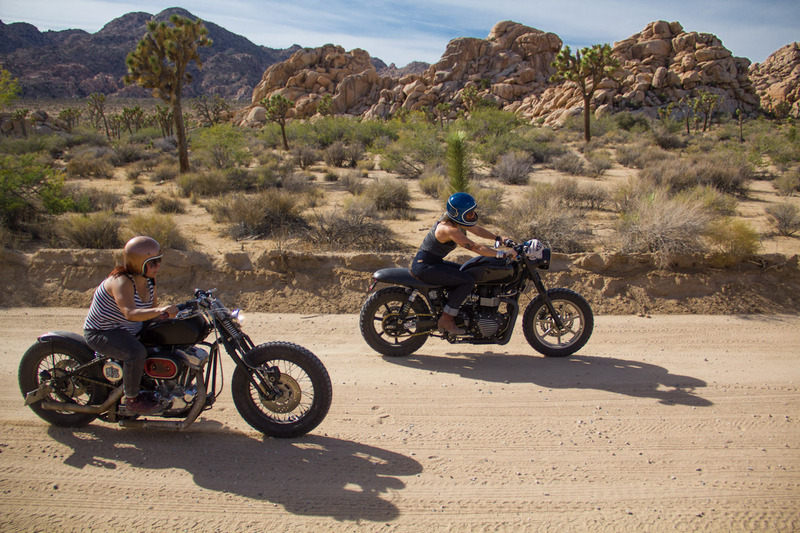 Keeping the event closed to men helps keep the pressure off new lady riders and creates a sense of exclusivity where women can be themselves and strengthen community bonds. It also let’s them all feel free enough to hop on stage and pop their tops off during Saturday night dancing. This year, the industry kept a close eye on the massive meet up, sending their female journalists and photographers to get the inside scoop. TV host, off road racer, builder, and landspeed record holder Jessi Combs was in attendance, who enjoyed being able to disappear into the crowd and actually enjoy all the event had to offer- live music, raffles, great food, rides into Joshua Tree Park, and good company. Women traveled from all over the world- Germany, Australia, New Zealand, Britain, are just a few examples. Waking up in the early desert day, you feel heat radiating in your tent, hear motorcycles firing up and squeals of happiness and joy. As you exit your tent, no matter where you set up camp, you’re completely surrounded by a sea of bikes and dome tents. Pathways are only big enough to get a bike through, tents are strategically set up like a labyrinth, sometimes overlapping at the edges to make them all fit. 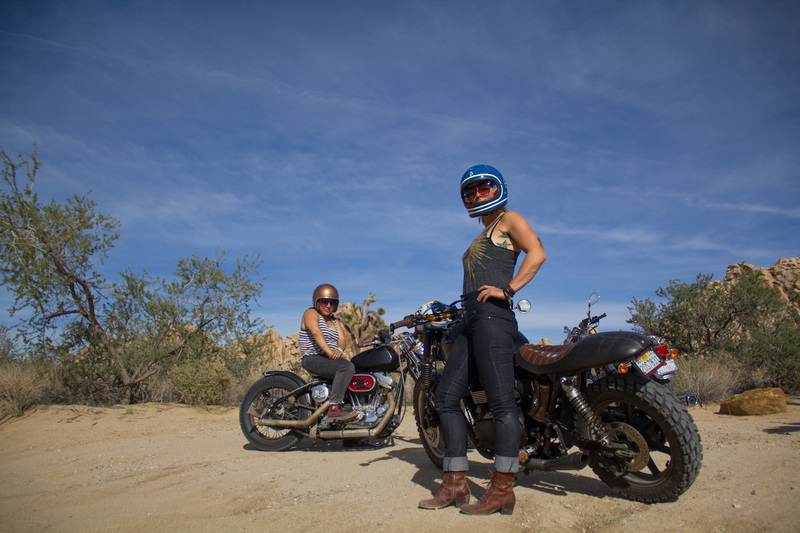 Women are putting around and heading out to ride on all sorts of bikes- custom Harleys, baggers, adventure motorcycles, and even some new modern classics like the BMW rNineT and Yamaha SR400. There is no one specific type of rider nor age group taking over the camp out- an eclectic range reflecting real women who ride across the world. 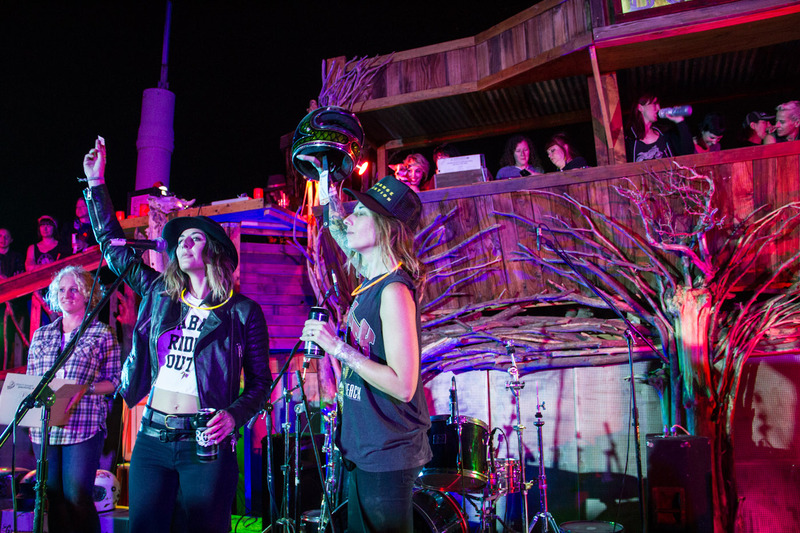 No one is sure where Babes Ride Out is going from here- expanding to a new campground for more space next year? Keeping it capped at 1200 tickets? Only time will tell, and we are all excited to find out where Anya and Ashmore take it from here. What we do know is… Babes Ride Out is out of this world. Read more on BabesRideOut.com or follow them on instagram @babesrideout.